Healthy eating starts with a healthy pantry. 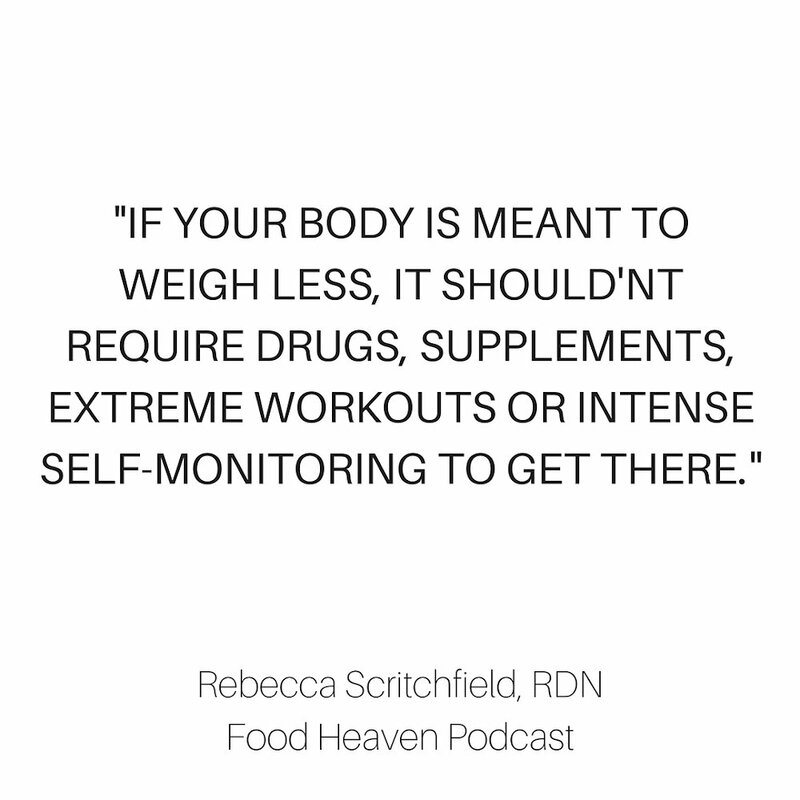 The more healthy food on hand, the more you are likely to eat healthy food. The beauty of it all is that it doesn’t matter if your pantry is tiny or huge. 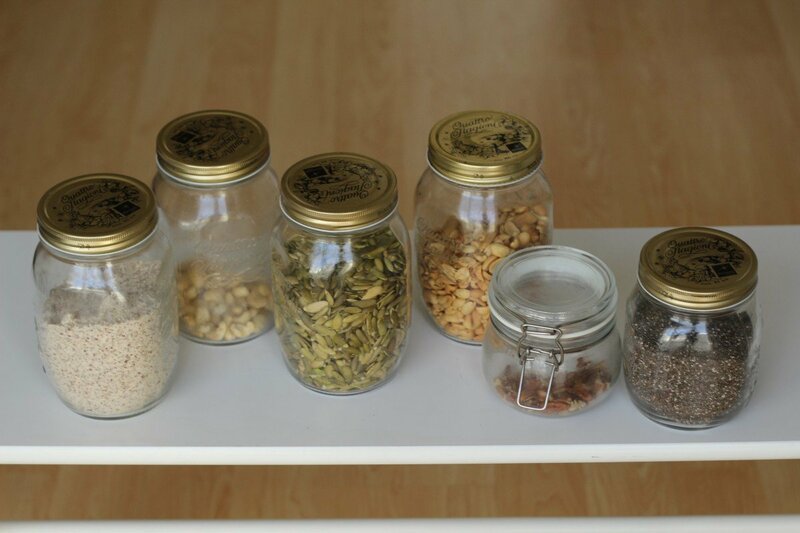 Regardless of size, keeping a healthy pantry is within reach. First things first, nuts and seeds are a great source of healthy unsaturated fatty acids. They also give a rich flavor to your foods and provide a significant dose of protein and fiber to your meals. Try to eat about 1/4 of a cup — or a small handful — of nuts or seeds most days. Toss a tablespoon of pumpkin seeds into my smoothie daily. Chia seeds are great for a smoothie too. You can also add them to your oatmeal or yogurt. 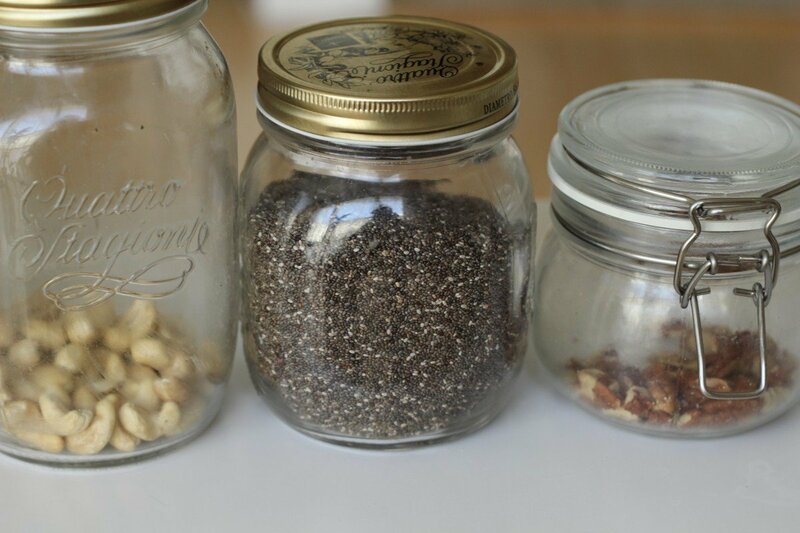 Make homemade cashew or almond milk. If you have a vitamix, you simply have to soak the nuts overnight in 4 cups of water, then blend the next morning (no filtering needed). Add peanuts to your favorite Thai dishes. Use almond meal for baking. 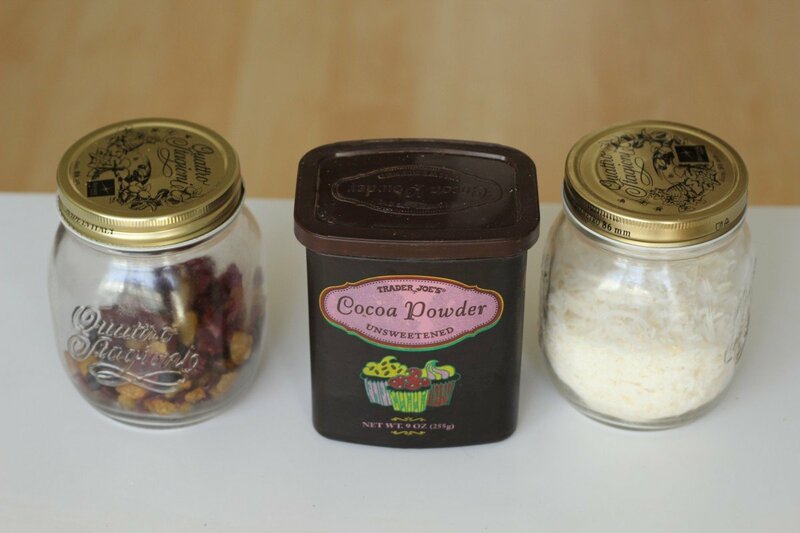 You can also use it to make coconut, date and almond energy balls. 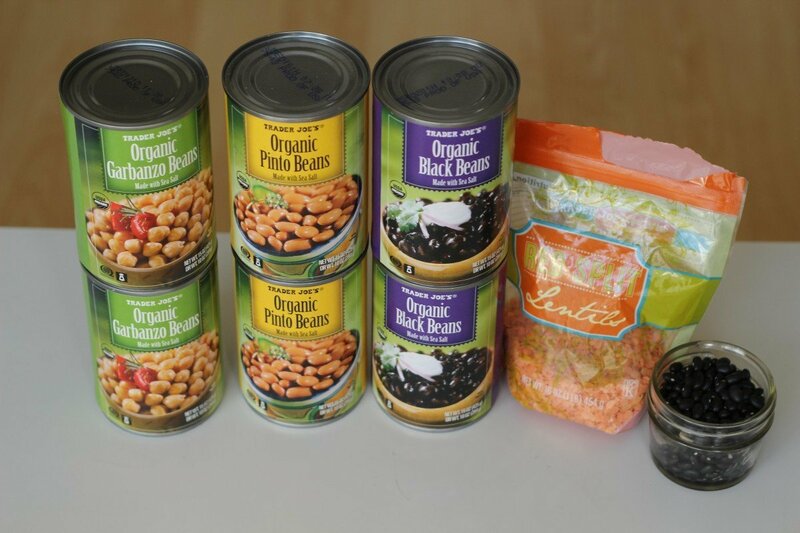 Beans are great source of fiber and protein. In fact, 1 serving of lentils (about 1 cup), contains a whopping 16 grams of fiber and 28 grams of protein. 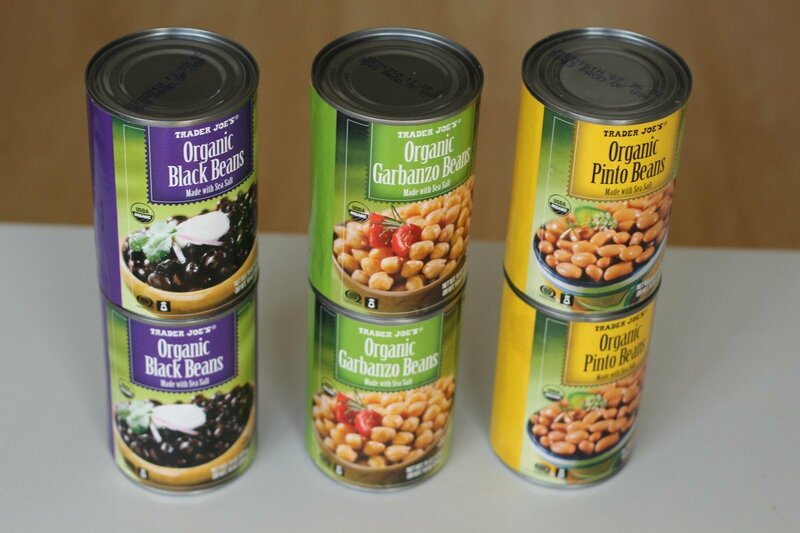 Beans are also low in fat and great for your heart health. We recommend eating at least 3 cups of beans per week. 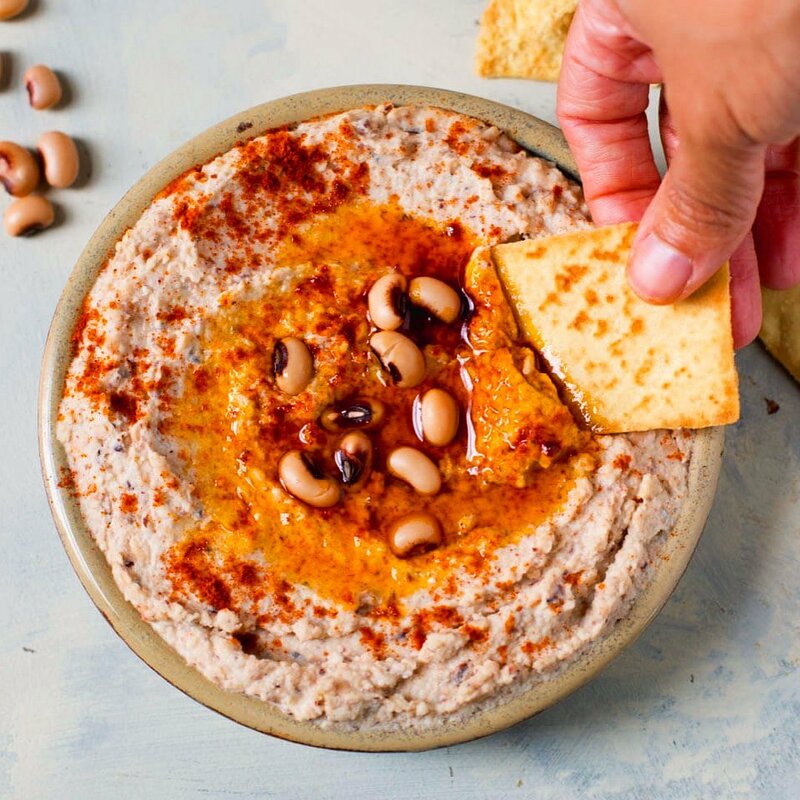 Use garbanzo beans as the base for hummus — try our roasted beet hummus if you are feeling adventurous. You can also try our crispy baked falafel recipe here. 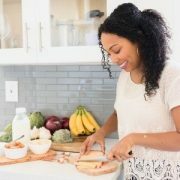 We know that carbs get a bad rap nowadays, but the reality is that carbohydrates are the preferred fuel of the brain and central nervous system. We recommend choosing whole grains because they are loaded with fiber and contain more vitamins and minerals. We like to cook with a variety of whole grains to keep our meals interesting. Our favorites are brown rice and quinoa, but the possibilities are literally endless (think millet, buckwheat, amaranth…the list goes on). 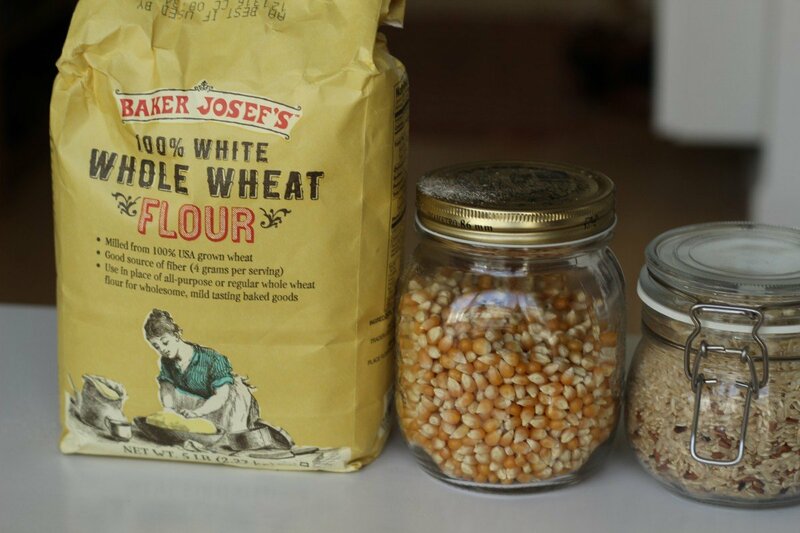 When purchasing any type of grains or cereals you want to make sure they contain: 1.) 3 grams of fiber or MORE, 2.) 6 grams of sugar or LESS 3.) the first ingredient is 100% whole wheat or whole grain, etc. 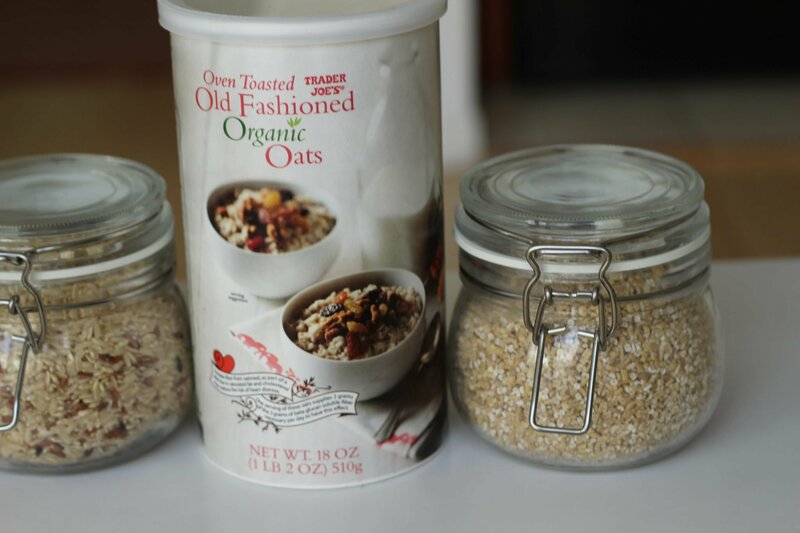 Eat steel cut OR quick cooking oats in the AM for breakfast. Add berries and a tablespoon of nut butter for more flavor. Enjoy a brown rice bowl for lunch or dinner. Add roasted sweet potatoes, black beans and broccoli to make the meal complete. Add quinoa to soups, stews or chili. 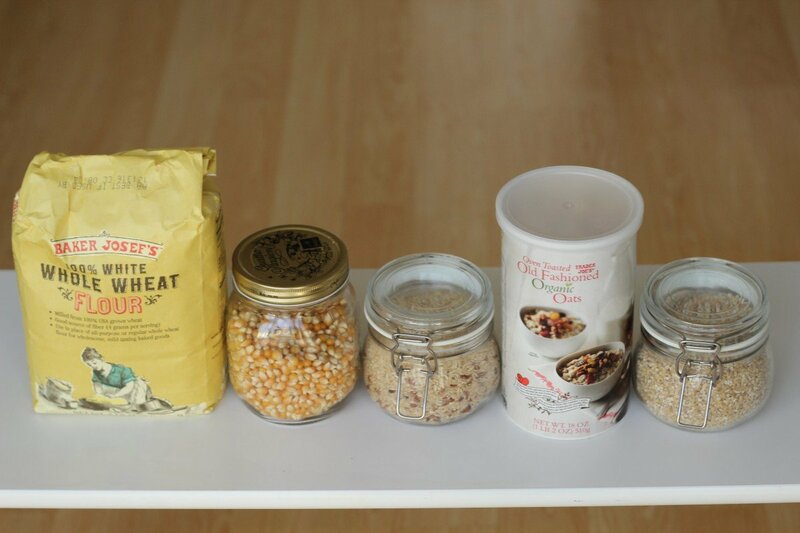 Make your own popcorn snack using a air popcorn popper. We got this one and LOVE it. Blend your oats to make an oat flour. These cranberry oatmeal cookies are to die. Make quinoa for breakfast like we did here OR add it to your salad like so. 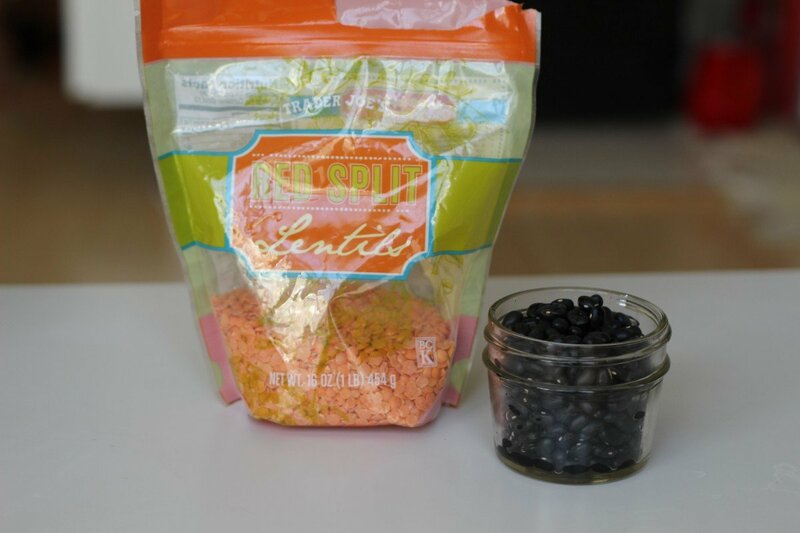 You can also make this delicious quinoa enchilada dip and eat it for lunch the whole week. A lot of times, people come to us scared to eat fats for fear of gaining weight. And while fats do have 9 calories per gram –vs. the 4 calories per gram found in protein and carbohydrates — they are a very important part of our diet. Fats help to give our body energy and also support cell growth. Furthermore, they keep us warm (hello winter!) and protect our organs. They also help us produce hormones and are essential when it comes to absorbing fat soluble vitamins (A, D, E, K). 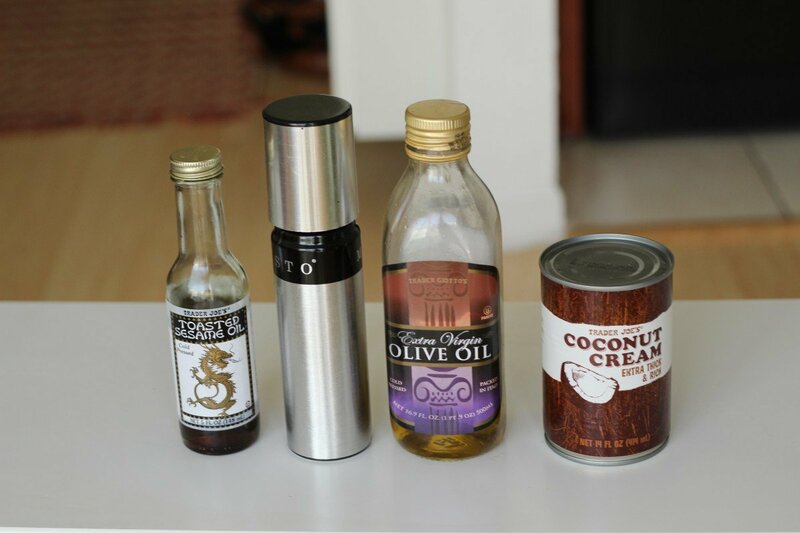 If you want to learn more about oils and which are better for different temperatures, check out the article we wrote on this topic here and our video here. We like to use canola and coconut oil for cooking, and extra virgin olive oil for sautés, salads and dressings. Toasted sesame oil is great for giving any dish a nutty flavor. We drizzle it on stir-fry dishes AFTER cooking or on salads. Coconut cream is amazing for making homemade whipped cream. We also use coconut milk for all of our curry dishes: (Red Lentil Curry Stew, Roasted Red Pepper and Squash Curry, Coconut Curry Chickpea Dish) . Having an olive oil mister (like the one pictured below) helps to control the amount of calories you add to your dishes. We find that using the mister still leaves you with the same flavor, but with only a fraction of the calories. Next up: Nut butters. 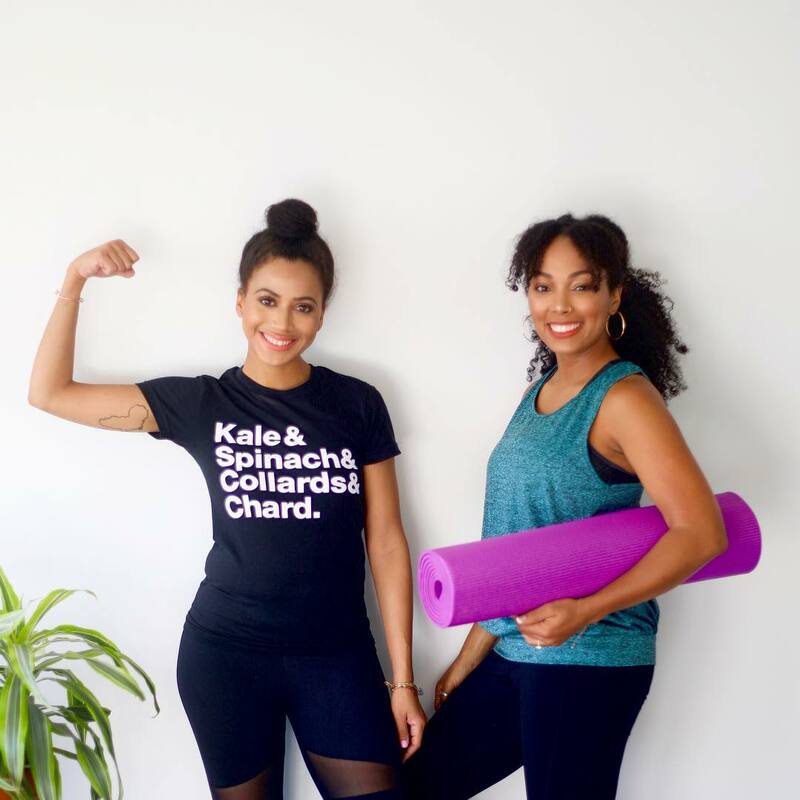 We live for nut butters because they taste delicious and creamy (or chunky if that’s your flavor) and they help us feel full, due to their fat and protein content. There are a million varieties of nut butter. (Okay maybe not a million, but definitely 5 – 7). We like switching up our nut butters, because each nut contains different flavors and has a variety of nutrients. 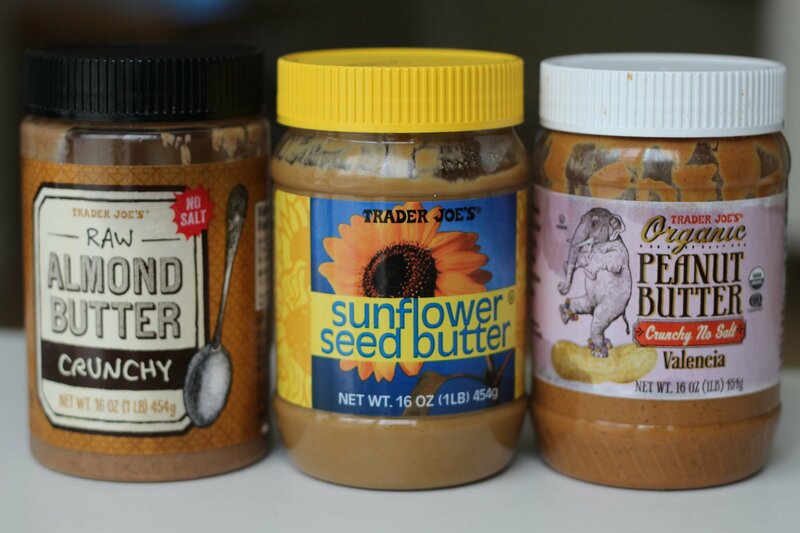 Our favorites are almond butter, sunflower seed butter, peanut butter and cashew butter. Add a tablespoon to your morning smoothie for added healthy fats and proteins (if you aren’t already a newsletter subscriber, make sure to subscribe to get a free copy of our e-book, where we have a smoothie recipe that includes a nut butter). We love to pair a fresh chopped apple (topped with cinnamon) with a creamy nut butter. 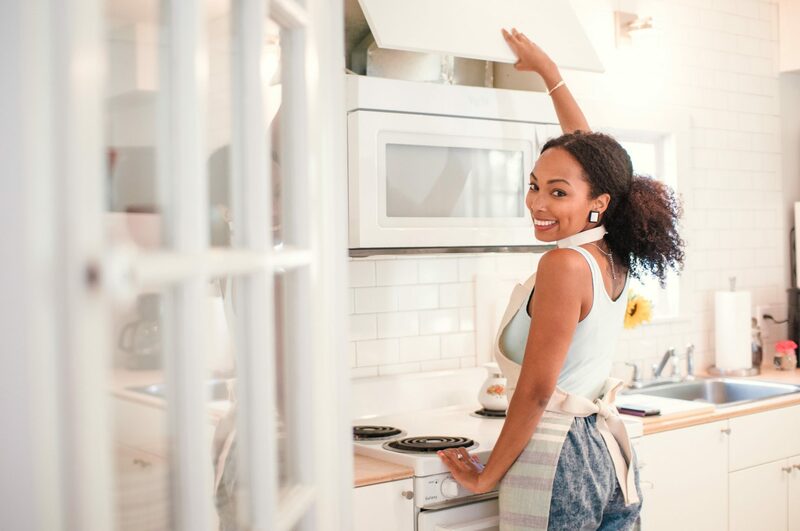 It’s the perfect afternoon snack that will give you a boost of energy without the crash you get from eating straight sugar. Have nut butter in the AM on top of a slice of wheat toast. Top with sliced banana or pears. Serve 1 tablespoon of nut butter on your morning oatmeal for added protein and fiber. So many of our patients come to our office worried that because their doctor told them they have to limit salt, they are going to lose out on flavor. The great news is, there are a ton of delicious spices you CAN use that are salt free (or very low in sodium). We try to stick to things that have “powder” in the name, rather than “salt”. 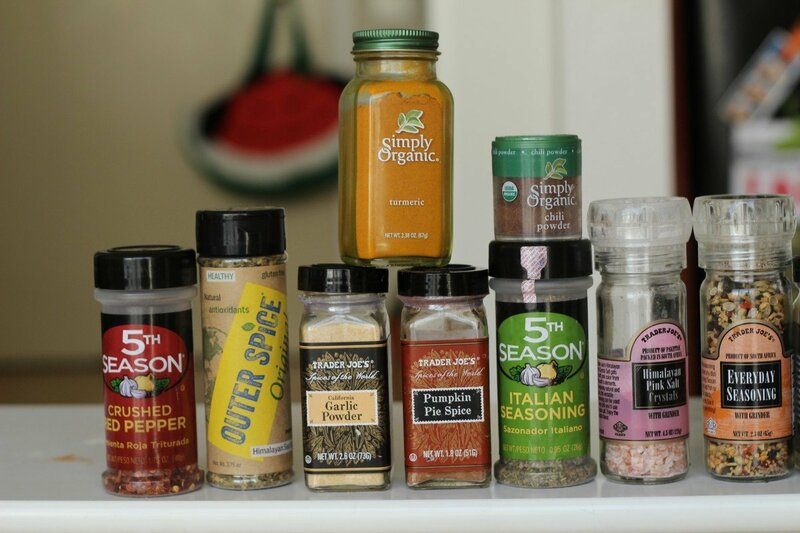 For example, garlic powder has no salt, while garlic salt has a ton. Same thing with onion powder versus onion salt. If you are worried about the sodium content in your seasoning, check the nutrition fact label on the back. If it is 5% of the Daily Value (DV) for sodium, it’s considered a low salt option. If it has 20% or more of the DV for sodium, that’s considered a high salt option. Add turmeric to make turmeric milk OR toss 1/4 of a teaspoon into your morning smoothie to fight inflammation. 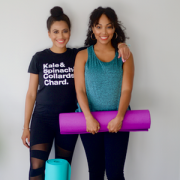 Read about the endless health benefits of turmeric here. 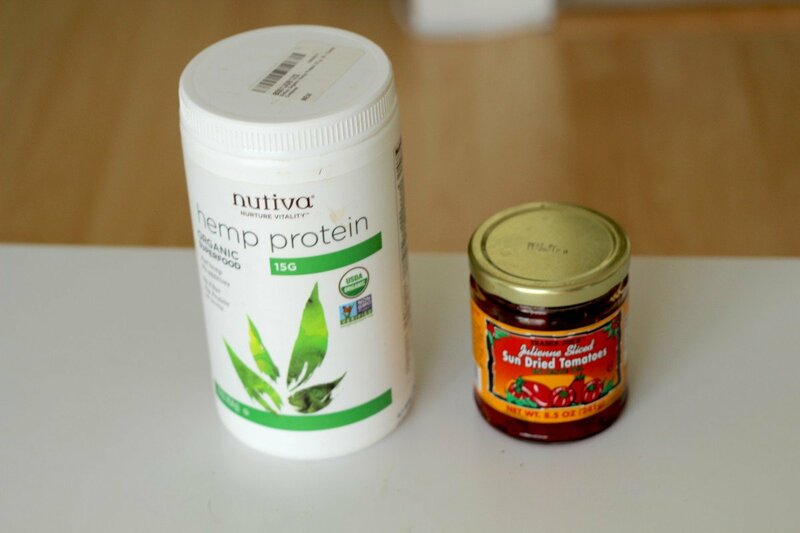 The hemp protein powder is a must in my daily morning smoothie. I’ve tried a lot of hemp protein powders and this is my absolute favorite brand because it’s not too thick and chalky tasting like some others I have tried. 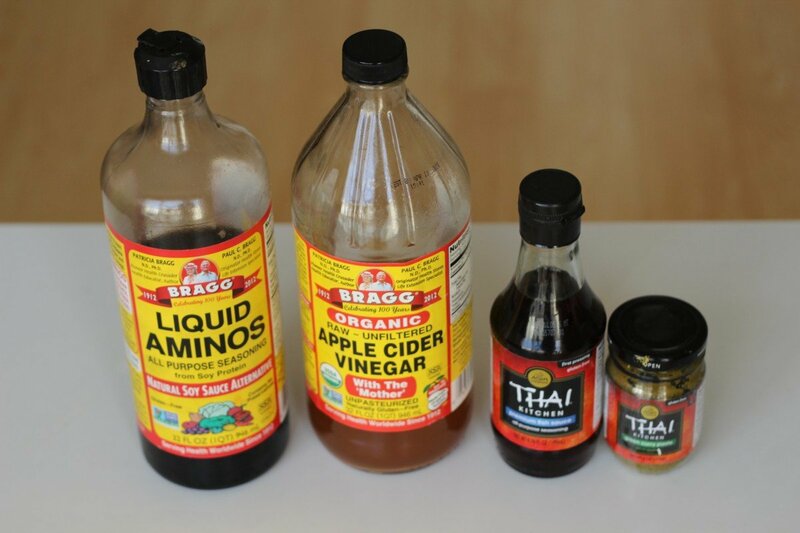 The braggs apple cider vinegar is great when paired with olive oil in your homemade salad dressing. It’s also fabulous as a hair cleanser. I mix it with a little bit of warm water and soak my hair in it before every wash.
Oh! And we have our coconut flakes. Blend them with dates and almonds to make sweet date balls. 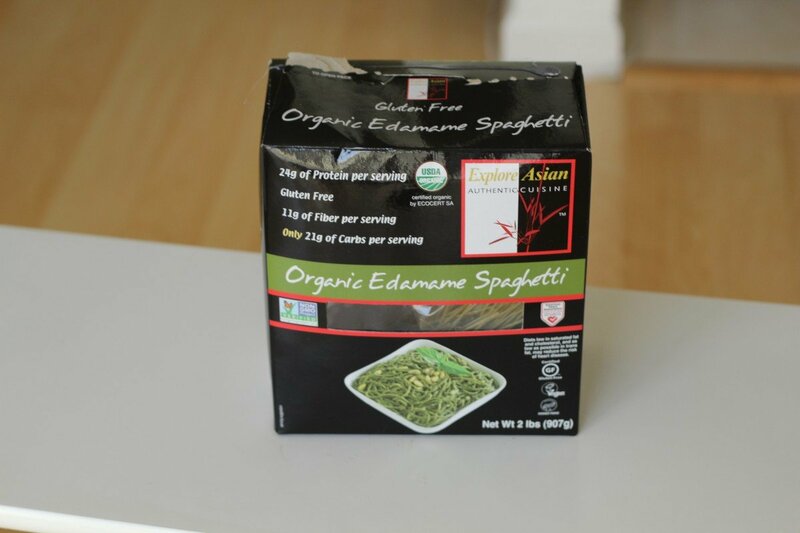 Last but not least is my go-to organic edamame noodles at the bottom are gluten free and contain 24 (!!!) grams of protein per serving. We like to whip up a pesto sauce and serve it over the noodles for a satisfying dinner. Add cherry tomatoes and broccoli for even more bang for your bite. 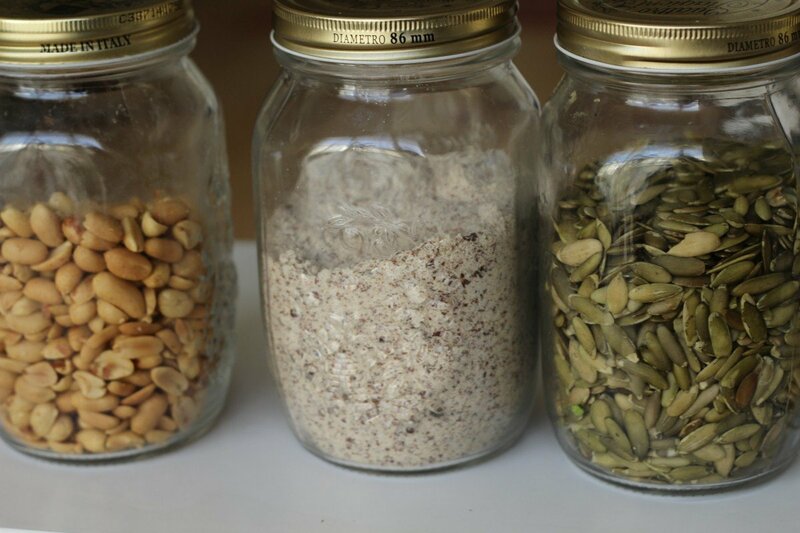 We hope this post was helpful for learning how to stock a healthy pantry. Have something that’s a must have and isn’t included here? Let us know in the comments below what your fav healthy pantry items are! Note that this article does contain amazon affiliate links. If you purchase any item using the link we provide, we earn a very small percentage of the sale. We appreciate your support of our efforts here at Food Heaven Made Easy! I love the edamame spaghetti! It is so delicious! I also like to keep legumes, nuts, some whole grains, lots of spices, and fresh peanut butter in my pantry! I bumped it to your site only today. There is so much details in each and ever recipes. I am so awed. I am going through all the posts like a kid who got some candy. Super excited. I use instant couscous. Does it have selenium too? I could not find any details. 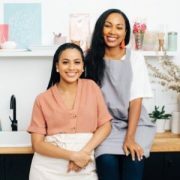 Can you recommend me a good couscous brand. Please bear it in mind that I am a student. Most couscous in stores are actually instant- and it is indeed rich in selenium! I honestly don’t go for any particular brand- usually just pick up what’s on the shelf for a decent price. I would stay away from pre-spiced mixes and just go for a plain, unflavored couscous brand. Hope that helps!